Who Do You Trust? is the 10th studio album by Papa Roach, released by Eleven Seven Music on January 18, 2019. It has typical Papa Roach classics and the album will certainly be loved by fans. "Who Do You Trust?" Is a very mature album both from a musical point of view and in terms of lyrics. I'm sorry to say that it didn't quite hit the mark. The fact is that Papa Roach has managed to build a bridge with this album between generations of music lovers. With Who Do You Trust? though, it’s tolerable at its very best, and even that’s not that often. They have tried and they have succeeded, and their boldest statement yet came not even two years after their last album. Whilst I respect any band who doesn’t just rehash the same old sounds and formats with every album this was a little too much of a departure of why I love Papa Roach for me to really get on board. An incohesive tracklisting and eclectic influences make for a confused and unconvincing first listen, but it has immense growing power thanks to some seriously catchy tracks with memorable riffs and melodies aplenty. It isn’t always good, but I appreciate their hard work. The album boasts too many ill-judged decisions, and results in songs which do nothing to flatter PAPA ROACH. Ultimately, this band knows what works for them and how they can use their versatile skills to continue creating fresh content. 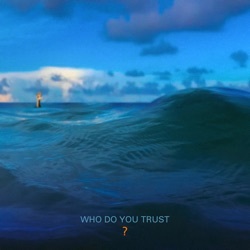 Who Do You Trust?, the follow up to last year's Crooked Teeth, finds a balance between pop and rock, veering away from the band's more traditional alt-rock sound and exploring a wide-range of influences. The live shows have got some new classics in waiting, but the album as a whole doesn’t quite meet past heights. All of this works nicely, and reinforces the notion that at over twenty years into their career, Papa Roach are handling maturity pretty well. The over-reliance on glossy production traits ultimately hinders this 10th outing. It takes just a short walk to the web, to see the massive fanfare disappointment with the new material. Papa Roach do not really change the formula that they have already applied in 2016. Between Hip Hop, Pop, Punk and Nu-Metal the songs sound like a modern version of the old Papa Roach classics. Even though the album still carries its fair share of bland pop production tropes and lackluster fusions, its baseline output of rap-infused rock is still decent enough, and the few songs that provide a direct rock/metal energy give the album some noteworthy highs. Papa Roach still delivers it's share of small nonsense but the whole is good. Jacoby Shaddix and co take the Listeners on an explosive sound journey, which holds pretty much everything for friends of the explosive and powerfully staged fusion of rock, punk, pop and hip hop. Those who can embody the most diverse elements in the form and still remain authentic, seizes an enormous target group and can only be successful. I find "Who Do You Trust" absolutely successful. I know it again: I like crossover. Papa Roach just continue to evolve and kill the game with being inventive, but with that old school spirit, such a hard task to do for some. Impressively, the biggest problem of the meanwhile tenth studio album of the Californians is not a monotony quite to be expected regarding the discography of the band, but above all its absurd lack of concept. This is an exercise in nuance-free shouting — and, in 2019, an oddly retro way for four men in their late thirties and forties to take a stand. It's the visceral energy on I Suffer Well and the ambient-tinged Better Than Life which reveals the range and musical vision of a band not afraid to still take risks. Having established themselves and their trademark on the rock world, Papa Roach have clearly been chasing what has inspired and excited them – managing to also give the Nu Metal genre a much-needed modern day update. The bad far outweighs the good here, I must say. On the whole, the album passes by with only a handful of stand-out songs. The title track’s pretty good and probably the closest to their recent style, but many other songs – while good – just don’t drag the emotions out, or really get you bouncing. Toe tapping? Yup. But raging? Not so much. The new record is able to mix old and new to give fans what they’ve grown accustomed to from the band. This release isn't going to be for everyone (trading a harder sound for radio-rock seems to divide fans more often than not), especially with a band of 40-somethings attempting to make widely accessible rock tunes. By taking risks and placing diligent focus on songwriting, Papa Roach have not only maintained and strengthened their position aside their contemporaries, but have also opened doors to some new areas to explore. Who Do You Trust? ​Is another success for this band and makes you wonder is there anything they can’t do anymore? If ‘Who Do You Trust?’ doesn’t quite stand among their best work, it doesn’t fall short of having some great moments as well as serving as a testament to Papa Roach and their willingness to take risks in pursuit of further enriching their music. First 3 Singles Are Tepid and Weak I applaud P.Roach for the attempt at evolution and taking risks musically. But, these tracks are dull, uninspired and lack any passion. I am hoping the balance of this record is more fiery. Huge PR Fan, but.... I hope the rest of the album is better. Who do you trust is repeated 25 times. It’s a catchy song but no creativity. I cant listen to Renegade Music and Not the only one, not feeling this album yet.